What Car Would You Choose To Take On The Cannonball Run? My favourite kind of films are road movies or movies in which cars are heavily featured, or better still, if the star is the car. 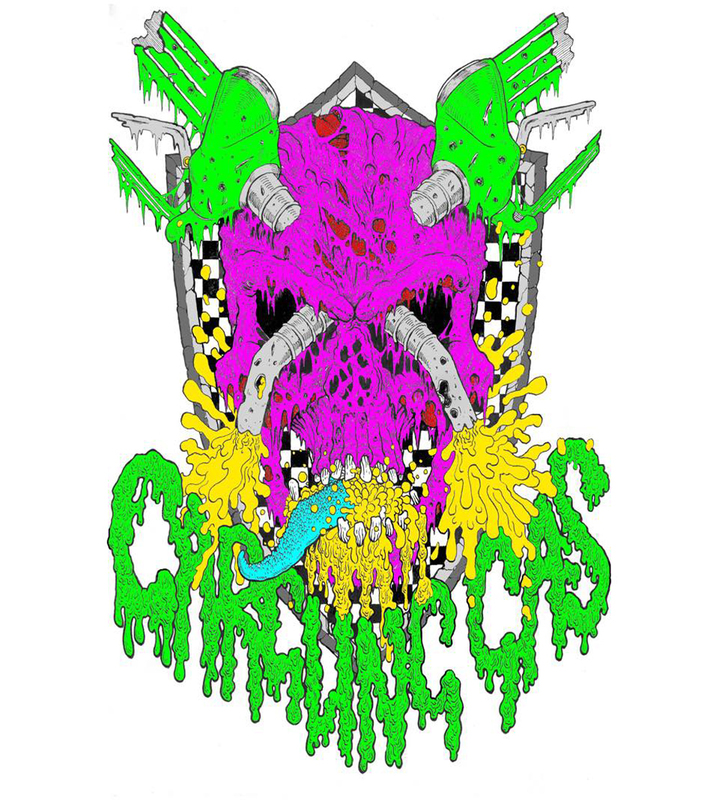 The cream of the crop will be in the horror/crime genres, so with this in mind, it led me into thinking about which cars were evil and what types of cars evil drove. No Herbie The Love Bug here (although I was traumatised as a 6-year-old witnessing No. 53 trying to commit suicide off a bridge), just the dark and the mysterious, the evil and the damning. I’ll start with my favourite Stephen King novel and movie, Christine. This ’58 Plymouth Fury wasn’t just cool, she was possessive over her owners, choosing love songs on her radio to serenade them. If anyone else came into their lives, Christine would kill them. 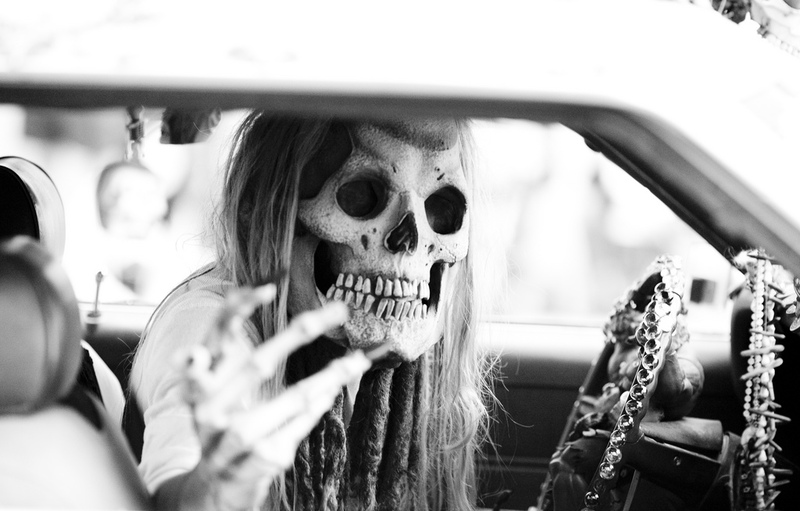 You could take a metal bar to her or defecate on her dash, but that wouldn’t stop Christine; it would just make her mad enough for her to come looking for you. Despite sounding like a corny horror, the film does have more depth than most, although it doesn’t quite depict the relationship a kid has with his/her first car like the novel. Okay, this movie falls into the corny category, although it is entertaining because the main star is an psychotic custom Lincoln. The movie’s tagline: Is it a phantom, a demon, or the Devil himself? pretty much sums up The Car and its storyline, but because I’m a car freak, I loved watching it take people out. Drive Angry is worth watching just for Amber Heard and her murdered-out Charger. Despite being uber cool, the Dodge isn’t the evil one here. The story involves a father coming back from hell to prevent his daughter going with a Satanic cult who eventually want to sacrifice her child. However, he isn’t the only one who has come back, as he’s being pursued by a man in a suit who calls himself the Accountant. 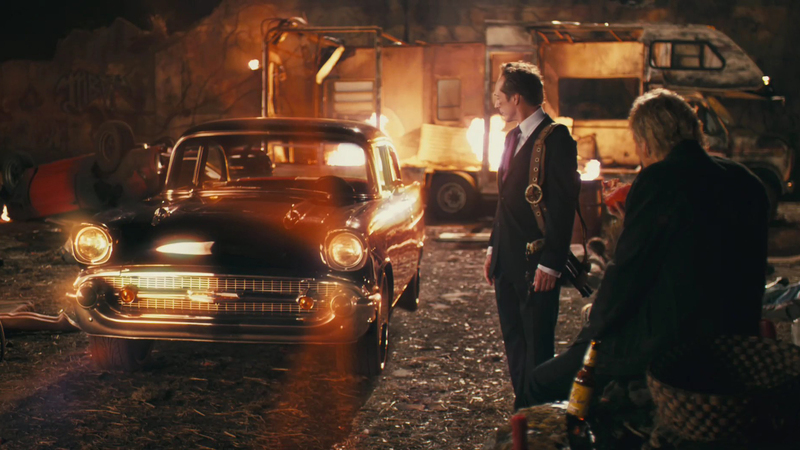 At the end of the movie the Accountant summons a ’57 Chevrolet One-Fifty from hell, the car the two of them go back in. 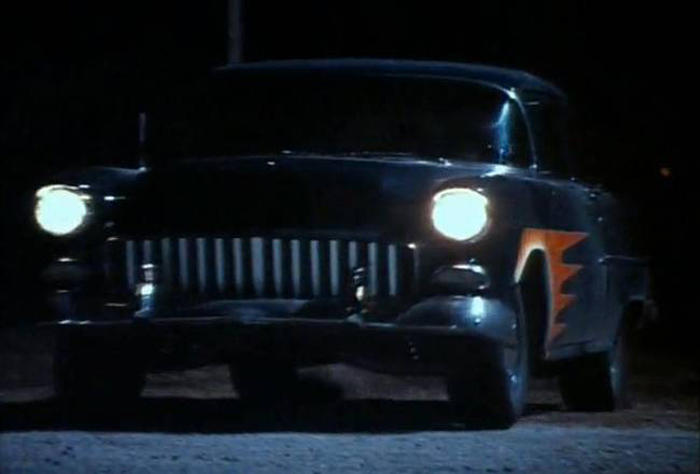 Another creation of Stephen King involves this superb ’55 Chevy Bel-Air in Sometimes They Come Back. This is another favourite of mine – it doesn’t get any cooler than dead greasers driving a fire-breathing black Chevy with flames on the side. This Devil is easy on the eye in Bedazzled. Liz Hurley (Satan) drives this apt Lamborghini Diablo. Yet another Stephen King adaption in Maximum Overdrive. This was given a bit of a bashing by the critics, but if you’ve read the short story, you’ll understand how hard it was to make the transition to film convincing. Trucks come to life and surround a gas station/diner full of terrified on-lookers. If you’re not into the whole “cars have feelings too” like me and Gargling Gas, then I’d give this miss. Although this article features the evil and the dead, I will include this next car as, although it’s an alien, it’s a nasty bit of kit. Super Hybrid is about a mysterious car that ends up in a Chicago police impound garage after a deadly traffic accident. The on-call mechanics discover the car has a mind of its own, and with its hundreds of horsepower, it starts killing people. If I had to make a movie and feature a car I think the Devil would surf eBay for, I’d have to go for a slammed black ’66 Cadillac Deville. We all know Lamborghini are the brand to beat when it comes to designing a car equivalent of Hannibal Lector, but since the mighty Countach in the late seventies, their cars – although still maniac serial killer machines – lost some of the Countach’s originality. Lamborghini set the bar so high, they shot themselves in the foot, as even they couldn’t create an equal with the Diablo. 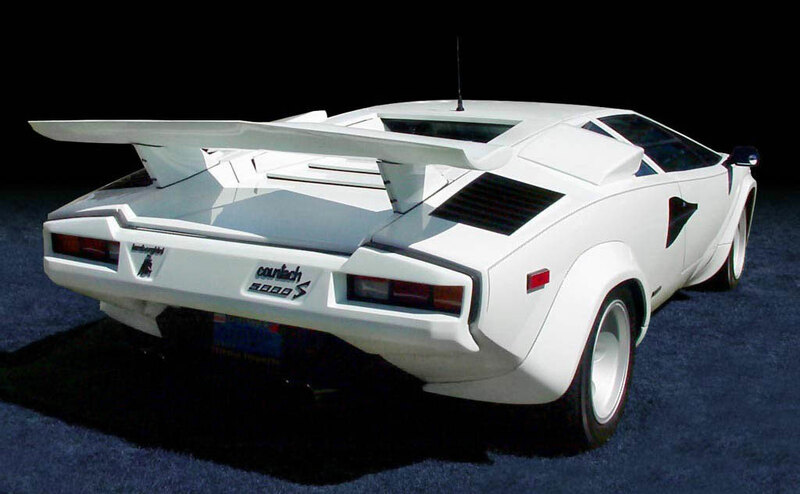 The world was shocked when the Countach hit the roads, but every car since has been expected to be a little crazy. 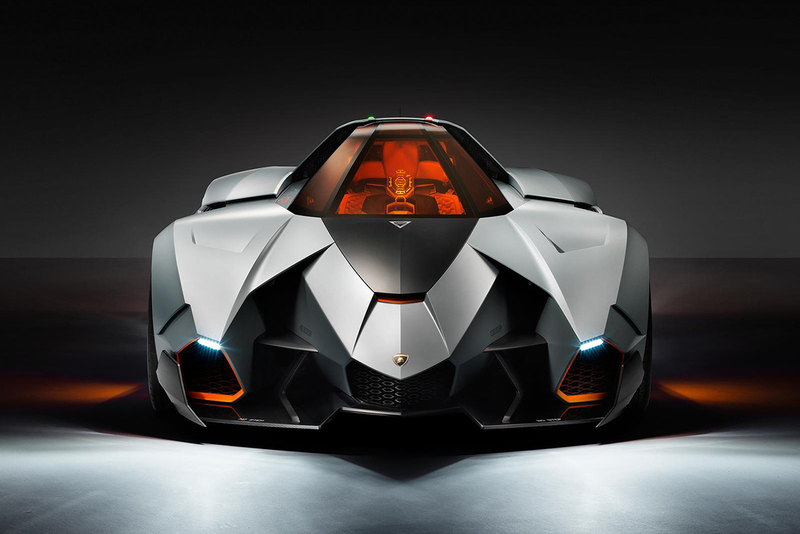 Well now Lamborghini have designed a car worthy of Countach status in design concept, originality and flare. In fact, I’m not even sure it’s a car – front on it resembles something from Battle Star Galactica. Meet the Egoista, it’s name translated as ‘selfish’. It’s monstrous, it’s ugly, it’s anti-social, it runs on the blood from stillborn kittens… it possesses all the facets of a true Lamborghini. Hats off to you Lambo; you’ve created a monster. But hang on… this is a concept, so I guess this doesn’t really count yet. 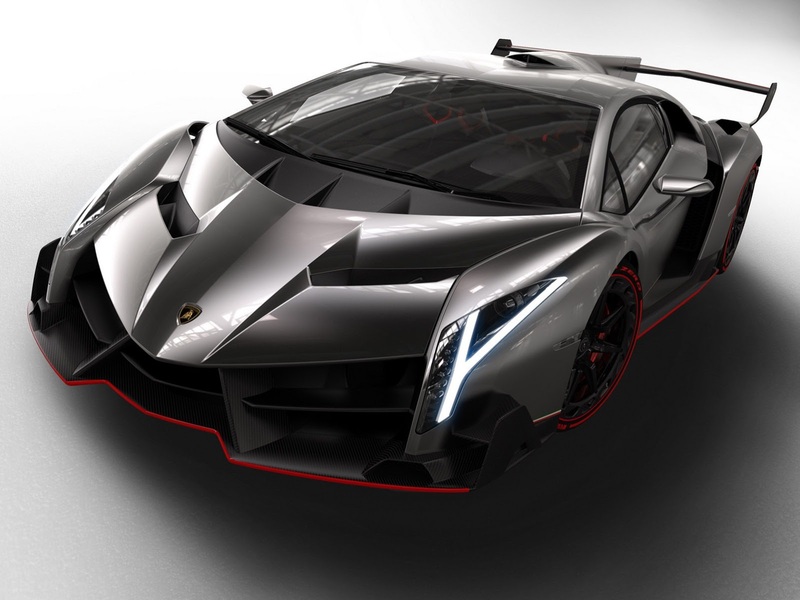 That’s fine, as Lamborghini have gone mental with the Aventador’s blue prints and designed the Veneno, an equally and disgustingly radical hypercar. 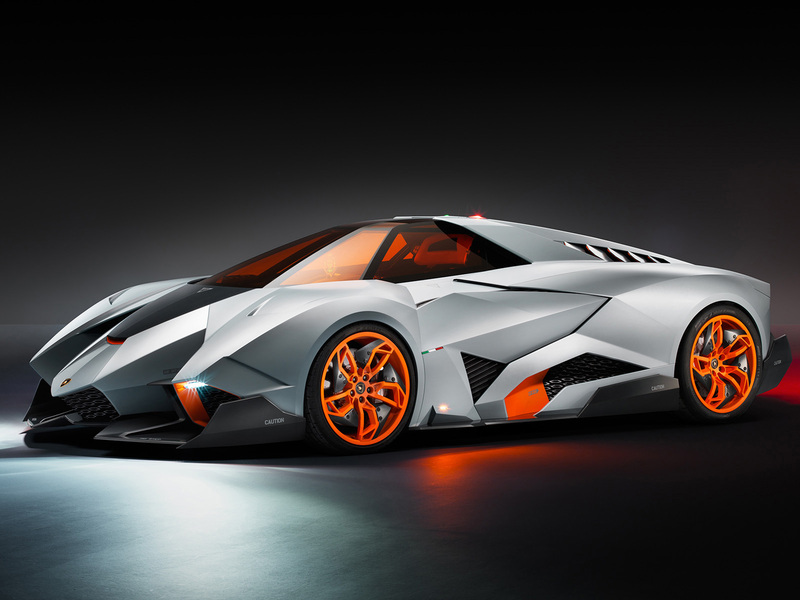 It’s $4.6M and only three are being made, a 50th anniversary celebration of Lamborghini. Even if I won the lottery I wouldn’t be able to buy one as they are all taken.